Leading Manufacturer of motorized projector screens for office from Hyderabad. Our organization has picked up distinguishment as the noteworthy trader and distributor of an arranged extent of Motorized Projector Screens for Office. This range is produced by our decently prepared creation unit utilizing the best grade crude material with the support of most recent systems. 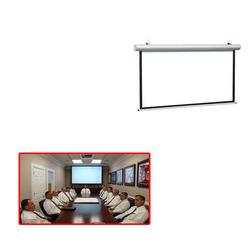 Looking for Motorized Projector Screens for Office ?